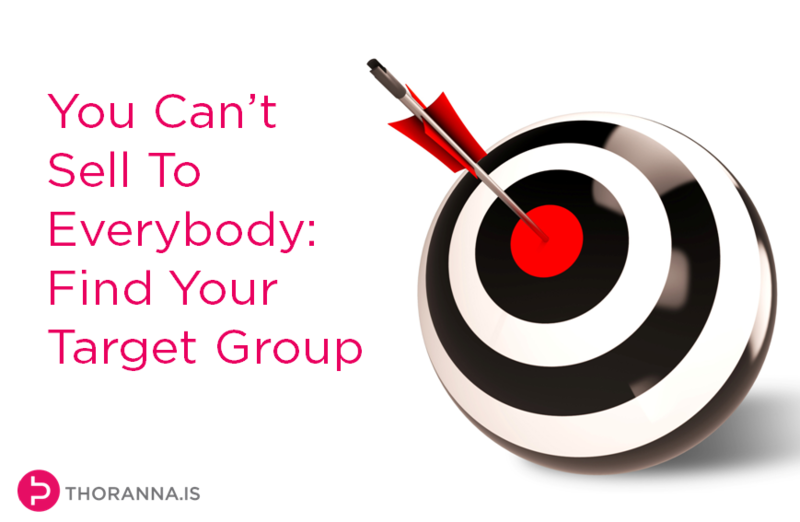 When asked about their target group, many business owners say they sell to everybody. And it’s understandable. Who doesn’t want as many people as possible buying their products or services. I can totally relate. Sometimes you just want to stand there on the town square and shout to the world about what you are doing. Here’s the problem though. It’s never going to work. Why? Well, think about this. We are exposed to thousands of marketing messages each day. That’s in addition to all the other messages such as phone calls, emails, news and just your general day-to-day communication with the world and people around you. We continually have to sift through and choose what we are going to pay attention to and what to shut out, and someone who isn’t talking directly to us, and preferably only us, is not going to make the cut. When it comes to talking to people about products and services, people are not going to listen if they don’t think it’s relevant to them. If they are not interested, or don’t think they need it (even if we know they do ;) they will choose to use their eyes and ears to consume something other than what we are saying. So being both relevant and interesting is crucial – and you can’t be relevant and interesting to everyone. Another thing is the fact that trying to be everywhere to talk to everybody is damn expensive and hard – and if you do that you will be wasting a lot of time, effort and money on messages that will be falling on deaf ears. As a small business or entrepreneur, can you really afford to waste your efforts like that? I know I can’t. This is why you need to be focused. You need to find the group or groups of people that are primed to listen to you and to buy your product or service – your target group or groups. Then you need to study them carefully. Bang on point, as usual Þóranna. I got to know my target group pretty well last year, but still felt there was a common denominator that I was missing. Lo and behold, I just stumbled on that very important link last week. Still need to test it a bit more, but everything just comes so much clearer when you know that defining feature of your target group. Thanks so much. Yep, this is so absolutely crucial. If you are chasing the wrong people, you will never get the business off the ground. Very good article and I do understand the point. It’s just very hard to find the right target group(s). I moved from Austria to the UK last year and the target groups I had in Austria don’t work in the UK at all.